This series of posts will now delve into some of the ship’s certification in a series of posts about the individual documents. The posts are not intended as definitive sources of information, but as handy revision guides for those studying for Master’s, Chief Mates and Officer if the watch examinations. A certificate that proves a ship’s nationality, It is probably the most important document on a ship. It will be required when obtaining clearance in a foreign port and when boarded by officials in a war zone or embargoed area. It also of use when selling a vessel, arranging finance, or obtaining protection from a warship. Any ship on international voyages, apart from Government owned vessels and very small vessels. In UK law, commercial vessels under 100 GT and pleasure vessels less than 24 metres are listed on different registers. They need to be registered if sailing on the ‘high seas’ or visiting foreign ports in order to remain under flag state law. How long is it valid? What information can be found on the certificate? The certificate of registry does not prove ownership or show mortgages. It cannot be subject to detention and must remain on the vessel unless required to obtain custom clearance. Many countries require the certificate to be produced on entering or leaving a port. The last post in this series contained useful hyperlinks for sources of information about ship’s certification. This post will take one of those documents, the IMO circular FAL.2/Circ.127, and use it as a base for building a handy reference to ship certification. I have resorted the order into one that makes a bit more sense, added some headings, and listed the main reference for each document. For those about to sit deck officer examinations, or for those serving on Ro-Ros the topic of Ro-Ro stability is definitely one to have a good knowledge of. The UK MAIB have published a safety flyer on the Hoegh Osaka grounding that is well worth a read. Click here for the flyer from the MAIB. Assessing a ship has adequate stability for its intended voyage on completion of cargo operations and before it sails must not be neglected. Sufficient time must be made before departure for an accurate stability calculation to be completed. A loading computer’s output can only be as accurate as the information entered into it. The master has ultimate responsibility for the safety of his/her ship. This responsibility cannot be delegated to shore-based managers or charterers’ representatives. The UK M Notice MGN 552 (M) has been issued by the MCA on the safe Stowage and Securing of Specialised Vehicles. 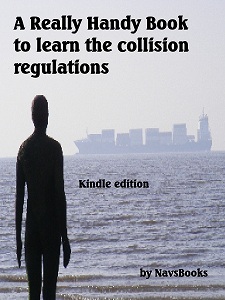 It is a useful source of advise for any seafarer involved in loading Ro Ro Cargoes. This post contains a summary of that notice for those revising for examinations. If you are involved in Ro Ro operations then follow the link to read the full notice. The purpose of the Marine Guidance Note is to draw to the attention of industry, the potential hazards when carrying Specialised Vehicles. Ships should ensure that cargo is stowed and secured in accordance with the approved Cargo securing manual before the ship leaves a berth. 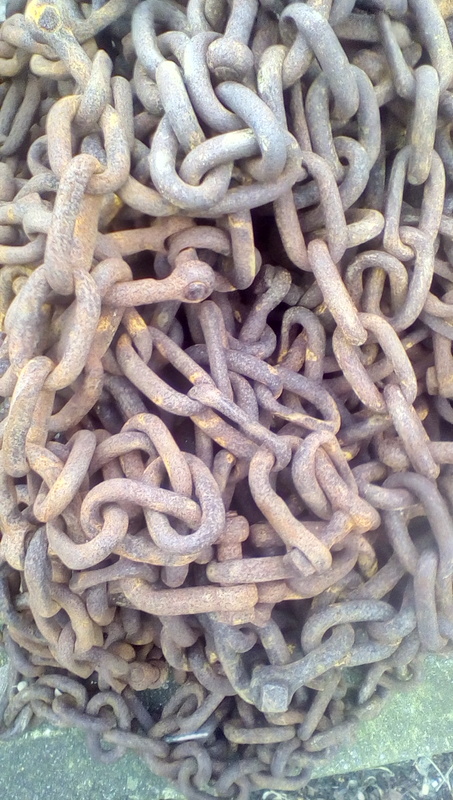 During the voyage, lashings should be inspected at intervals appropriate to the length of voyage and weather conditions expected to ensure that vehicles remain safely secured. Lashings should not be released for unloading before the ship is secured at the berth, without the Master’s express permission. Cargo should be so distributed that the ship has a metacentric height in excess of the required minimum and, whenever practicable, within an acceptable upper limit to minimise the forces acting on the cargo keeping in mind that large metacentric height could cause the ship to roll violently in adverse sea conditions. Sudden change of course and or speed may create adverse forces acting on the ship and the cargo. This is especially relevant for vessels fitted with high lift rudders, where moderate to high rudder angles may result in high forces being generated. The crew should be familiar with the requirements contained within the approved CSM. Ships’ officers and managers should carry out checks on lashings during audits and inspections to ensure that bad practices are not taking place, especially where operations are rapid and very repetitive. The condition of lashing systems should be monitored closely. UK M notices with a cargo work theme. UK Marine Notices (MGNs and MSNs) are excellent sources of information for anyone studying for Officer of Watch, Chief Mate and Master’s examinations, even for those not sailing under the British flag. Here are the top ten of the Notices with a cargo work theme. 1. MGN 107 (M) – The Merchant Shipping (Carriage of Cargoes) Regulations 1999. 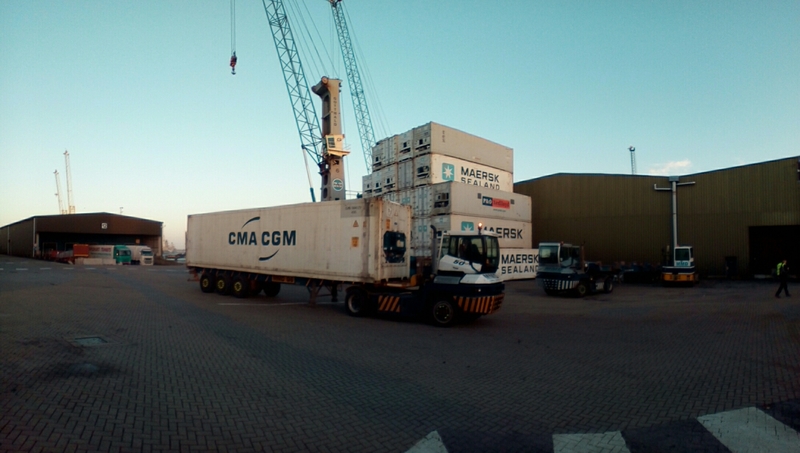 The new Regulations introduce additional requirements with respect to the loading and unloading of bulk cargoes. 2. MGN 146 (M) – The Carriage of Packaged Cargo and Cargo Units. Requirement for cargo securing manual. 4. MGN 418 Roll-on/roll-off ships stowage and securing of vehicles. 5. MGN 60 (M) – Code of Safe Practice for Solid Bulk Cargoes (BC Code): 1996 Amendment – Carriage of Coal Cargoes. 6. MGN 157 (M) -Safety of Personnel During Container Securing Operations and while Working at Corrugated Bulkheads in General Cargo Ships. 7. MGN 282 (M) – Dangerous Goods: Guidance in the Carriage of Packaged Dangerous Goods on Offshore Supply Vessels. 8. MGN 531 (M) – Cargo Stowage and Securing: Code of Safe Practice for Cargo Stowage and Securing (CSS Code) – Guidance on Application of Section 6 of Annex 14 for Existing Containerships. 9. MSN 1231 (M) – Safe Cargo-Handling Operations on Offshore Supply Vessels. 10 MSN 1167 (M+F) – Carriage of Containers and Flats in Ships not Designed or Modified for the Purpose. I have just published the next book in the Really Handy Range. This one is a move a way from the looking out of the bridge windows towards wider shipboard operations. The ISM code is deceptive; as a piece of international shipping legislation it appears small and vague, and yet, it has huge power to determine how ships are operated. Its relatively few words influence every aspect of vessel operations, both afloat and ashore. Sitting at the centre ofship’s safety, ISM links all maritime safety laws, guidance and procedures together. 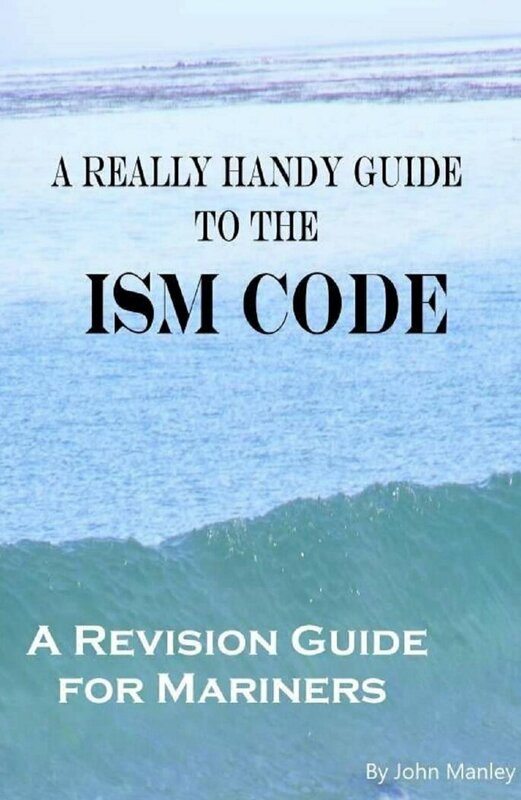 A good understanding of the ISM code is therefore required by all personnel involved in ship operations, and this book will assist in achieving that understanding. This Really Handy Book is aimed primarily at those studying for Officer of the Watch, Chief Mate’s, Second Engineer’s, Master’s, and Chief Engineer’s qualifications. It will also be of use as a reference source or refresher for qualified personnel. It is not a legal textbook though, so for legal advice refer to the source documents, or appropriate books. This Really Handy Book contains a description of the code, a revision aid. If you download the new book I recommend following this blog. 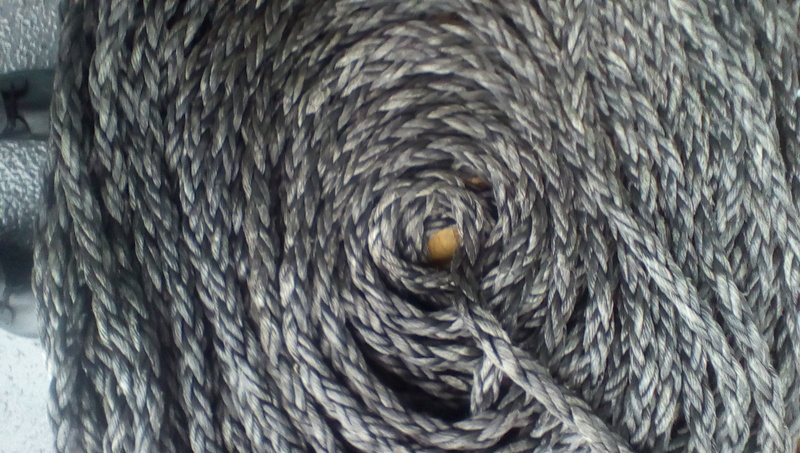 Over the next few posts I will be exploring a wide range of topics with connections to the code. However, I cannot promise that I will resist the temptation to entirely stay clear of my favourite topic-the collision regulations. Rule 3 Safe Speed-Every vessel shall at all times proceed at a safe speed so that she can take proper and effective action to avoid collision and be stopped within a distance appropriate to the prevailing circumstances and conditions. Rule 5-Lookout Every vessel shall at all times maintain a proper lookout by sight and hearing as well as by all available means appropriate in the prevailing circumstances and conditions so as to make a full appraisal of the situation and risk of collision. The most important Rule of them all. Follow this blog for weekly COLREG revision questions.